A new facility for children with Special Educational Needs (SEN) is set to open at a Hailsham primary school later this year. 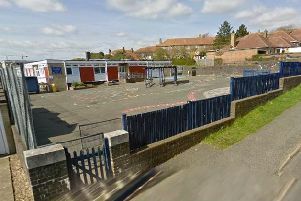 On Monday (March 25), East Sussex County Council’s lead member for education Bob Standley signed off on proposals to open a SEN facility at Grovelands Community Primary School in Hailsham. Set to open in April, the facility will provide in-school support for up to eight pupils with Autism Spectrum Disorder (ASD) – all between the ages of seven and 11-years-old. According to council papers the decision to open the facility came after a review of SEN provision in the county identified a gap in specialist primary school provision in the Hailsham area. The council hopes the new centre at Grovelands will compliment an existing specialist facility for SEN pupils at Hailsham Community College. This is as it would allow SEN pupils to progress through to secondary school alongside their peers rather than moving on to a specialist secondary school, the council says. Last year officers said: “Nationally, more than 98 per cent of children attend their local mainstream school; this includes those with Special Educational Needs and Disabilities. “Our strategy is to ensure that there is a good range of local provision which enables more children to remain educated in their local communities. “These facilities would help improve outcomes for children with special educational needs and provide a fully inclusive environment in mainstream schools in which they would receive specialist support. 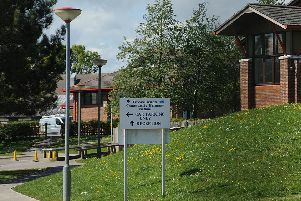 Proposals for a similar facility at Peacehaven Heights Primary School were approved in December last year. The council is expected to look at bringing forward proposals for similar facilities at other schools – most likely in Battle – in the near future.